I had a little time between projects and phone calls today and remembered that my chisels needed a little attention. Because I keep them fairly sharp and clean all the time I can bring my whole set up to peak performance in under 15 minutes. 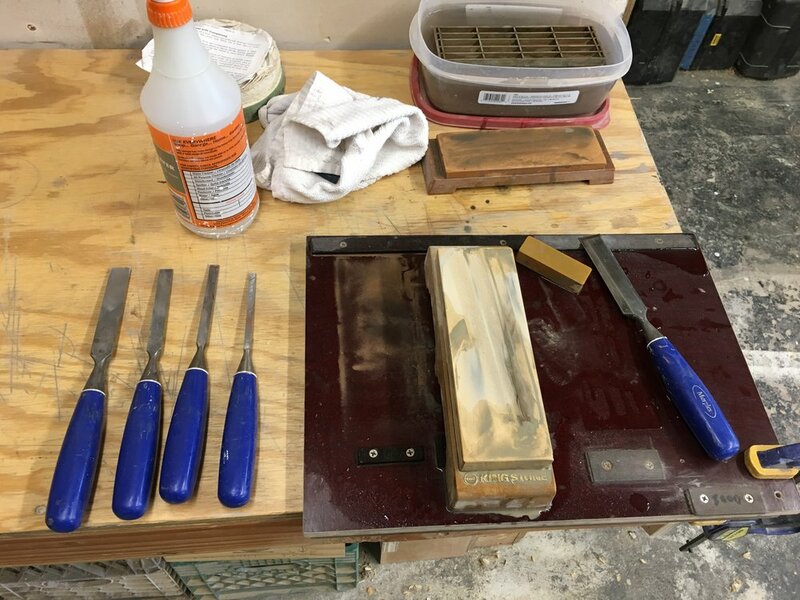 Here I started by running the cutting edge by hand over my 1200, 4000, and then 8000 grit water stones. Then I polish the backs a with a few passes on the 8000 and they're done! Like many things in life, when I let my cutting tools get too beat up, it takes me a lot longer to get back to this stage so I try to stay sharp by not getting too dull.